A panel exploring how the traumatic psychological effects of the World War II incarceration still persist will be held on Saturday, March 2, after the 2 p.m. performance of “Tales of Clamor” from 4 to 5:30 p.m. at the JACCC Tea Room. The 1981 hearings of the Commission on Wartime Relocation and Internment of Civilians (CWRIC) were a profound watershed moment for Japanese Americans, as they were finally, after 40 years of keeping their pain within and voices silent, able to speak out for justice for what the government had done to them. They were able to take the burden of guilt about their incarceration that they had unjustly carried for all those years and properly place it on the shoulders of the U.S. government. They felt redemption and catharsis. The Civil Liberties Act of 1988 (CLA) cemented those feelings, as the government finally apologized to Japanese Americans and accorded reparations of $20,000 for each individual incarcerated or otherwise deprived of liberty. The apology and monetary compensation did much to bring healing to the community. However, the process was only beginning. This symposium is an extension of “Tales of Clamor,” produced by traci kato-kiriyama and Kennedy Kabasares of PULLproject Ensemble, which is currently playing at the Aratani Theatre of the JACCC. The symposium will explore the traumatic psychological effects of the incarceration on Japanese Americans and how those effects persist today. The program will be opened by traci ishigo, a therapist and trauma-informed meditation and yoga teacher, who will take the audience through an exercise to promote a mood of cleansing and healing. 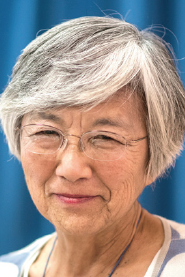 Dr. Amy Iwasaki Mass, a retired psychologist, testified at the L.A. CWRIC hearings and worked with Japanese Americans who got involved with gangs and drugs after the war. She will talk about how trauma can affect people and ways Japanese Americans tried to deal with the psychological pressures from their camp experiences. Jim Matsuoka, who also testified at the L.A. CWRIC hearings, is a founding member of Nikkei for Civil Rights & Redress, originallly known as National Coalition for Redress/Reparations, which coordinated a grassroots campaign to seek testifiers at the CWRIC hearings and to win passage of the CLA. He will speak on his personal experiences trying to cope with the trauma and frustrations during and after the war, which oftentimes led to activities of acting out aggressively in self-defense. 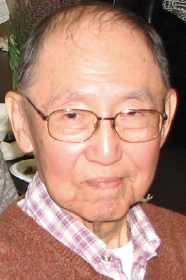 Yukio Kawaratani was incarcerated at Tule Lake, the center where all those who answered “no-no” to the loyalty questionnaire administered in the camps were sent. He was too young to fill out the “loyalty oath,” but he witnessed the tremendous pressures and divisions the questionnaire caused for his family and others at Tule Lake. 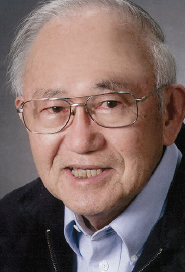 After 75 years, he still feels the stigma that many Japanese Americans attach to those segregated at Tule Lake. Ayumi Nagata, whose parents are both Shin Issei, has always longed to learn about the experiences of her grandparents in Japan during WWII. Just three months ago, she was able to hear a great deal about one of her grandfather’s experiences during that period, and that has inspired her to create drawings depicting her grandfather’s experiences as a form of healing for her need to know more about her roots and identity. The moderator for the symposium will be traci kato-kiriyama, who, along with Kennedy Kabasares, created “Tales of Clamor.” She wishes to explore how to enable people to take internal conflicts and bring them to the surface in healthy and healing ways.